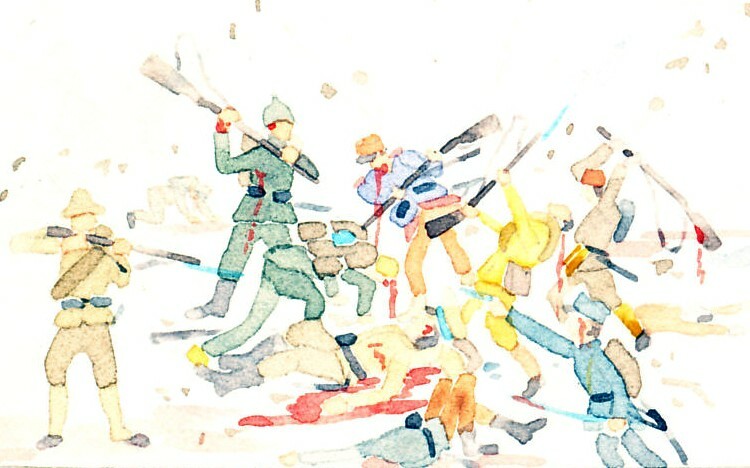 Illustrations for 'The Fall of Antwerp' from Antwerp to Gallipoli by Arthur Ruhl. 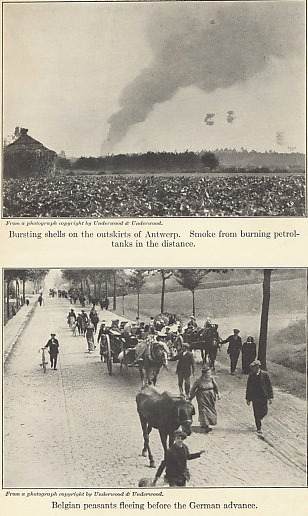 Shell bursts and smoke from burning petrol tanks are visible in the upper photograph. In the lower, Belgian peasants flee the German advance.